Wisdom of Life. : Intelligence verses right attitude. Someone asked, "Is intelligence important in selling life insurance?" Not necessary because right attitude works better than intelligence alone. Intelligence is an abstract concept whose definition continually evolves and often depends upon current social values as much as scientific ideas. Modern definitions refer to a variety of mental capabilities, including the ability to reason, plan, solve problems, think abstractly, comprehend complex ideas, learn quickly, and learn from experience, as well as the potential to do these things. On the hand, if one has these attributes; honesty, competitive, positive attitude, persistence, patience, hardworking, integrity, humility, sense of humour, drive, determination, confidence, responsible, motivated, communicator, organized, listener, pride, empathy, single-minded, decisive, belief, goal oriented, learner, enthusiasm, common sense, detail master, dependable, dedicated and loyalty....nothing will fail him to be a successful life insurance agent. 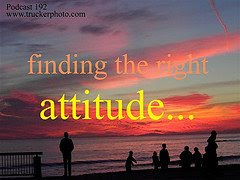 The above thirty attributes are all purely attitudes which you need not learn. Because they are already in our mind. "The main reason a person achieves, keeps and performs well in a job is totally dependent on his attitude and not just on one's intelligence alone." Ok! Will take your advice. Happiness or Success comes first! Teammate of man & woman. HAVE YOU EVER BEEN THIS TIRED?? How To Make Your Marriage Last!! Small key opens the big door! Roses are for smarter women. A calmness & understanding mind. Are you a gentleman to women? It Depends on WHOSE Hands it's in ! Do u have the piece of mind? Happiness is only a feeling. WHAT is it that's hard to break??? With Love, everything is possible. When to use the heart and the mind. Every successful man needs the right woman. The foolish act of our youngsters.